Many scientific studies have discovered that traveling or taking a regular holiday is good for your health. However, do you know some of the other benefits of traveling? 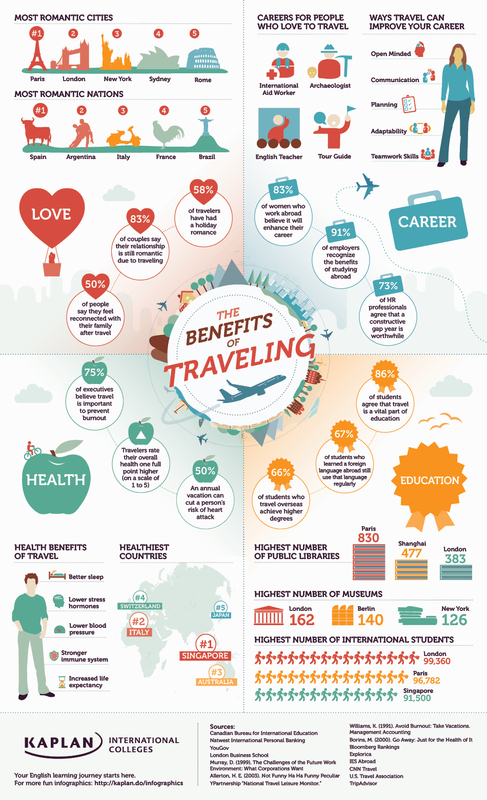 Check out our infographic below for some of the most interesting statistics about the benefits of traveling! We had a lot of fun doing the research for this infographic, and we hope that you’ll learn some fun new facts from it. How many places have you traveled? What do you think the benefits are from traveling? Do you agree with everything mentioned here? Let us know by leaving a comment!